What's an informational interview and why aren't you doing it? Finding a job can be tough. Competition is fierce, and even if you’ve got the skills, it’s a challenge to make yourself known to the right people. According to Michael Hampton, Director of Career Development at Western Oregon University, informational interviews are a valuable networking technique that can give you an edge on your competition. The informational interview is designed to…help you choose or refine a career path. You can learn how to break in and find out if you have what it takes to succeed…Spending time with one your network contacts in a highly focused conversation will provide you with key information you need to launch or boost your career. What is an informational interview? And what is it not? You’re a recent graduate exploring possible career opportunities. You have an established career, but would like to discover what it might be like to work for another company. You feel as if you’ve done as much as you can in your current job and are interested in chaging fields. By meeting with somebody experienced in the field you’re considering, you can find out more about what the work is really like, about how much it pays, and about the drawbacks. 1. The first rule of informational interviews is: do not ask for a job. 2. The second rule of informational interviews is: do not ask for a job. If you meet with somebody under the pretenses of gathering information and you attempt to turn the encounter into a job application, you’re just going to make her angry. If, after the interview is finished, she thinks you’re promising and she has a position available, she’ll contact you. Do not ask for a job. Ask politely. If the person declines the interview, respect her boundaries. If she accepts, select a time and location that works for both of you. (Phone interviews are fine.) Confirm the time and location. Be prepared. Dress appropriately. Be punctual. Do your homework — learn what you can about the company from trade magazines, press releases, and past (and present) employees. Research will allow you to skip questions that could have been easily answered via another source. You want to use this opportunity to ask more intelligent, relevant questions. Take notes. Remember that you’re conducting this interview to gain insight into a possible career. Write down anything that might be important. Ask follow-up questions. Be brief. Keep track of time. Don’t rush the interview, but don’t overstay your welcome, either. If you’ve done your homework, you know which questions to ask. Get the information you need in a timely fashion, and then let the person return to her workday. Pay attention to signals that it’s time to leave. Don’t forget to send e-mail or a brief hand-written note to thank the person for taking time out of her day to meet with you. Informational interviews aren’t just for job seekers. You can use them to locate mentors or to pick the brains of experts on a favorite subject. 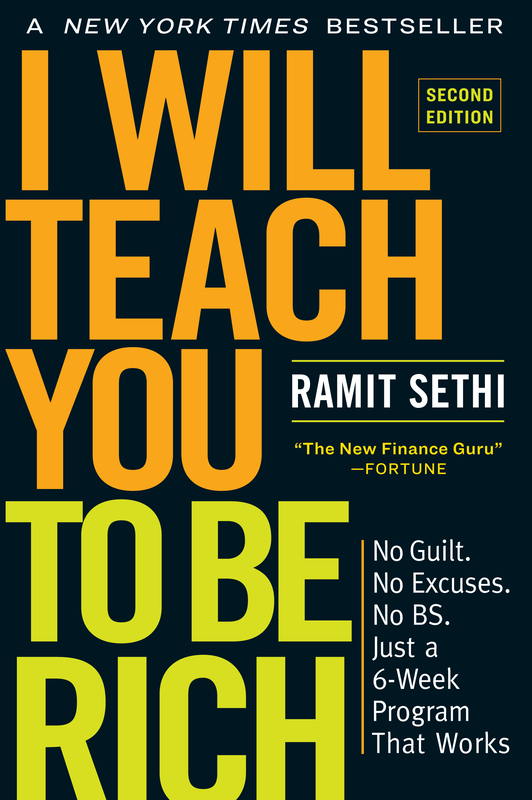 I’m preparing to write a book, for example, and have been fortunate to find half a dozen authors (including Ramit!) who have been willing to take time to describe their experience with the publishing process. If you discover a job that you want to apply for during the interview, wait…The next day, call the employer and tell your contact that the informational interview not only confirmed your interest in the field, but made you aware of a position that you would like to formally apply for. OK, that’s quite clever – but how do you actually bag one of these interviews? Would you care to share a typical telephone script? Nicely brought out post. During the interview questions regarding personal life, life style etc., should be moderate and not to embarrass the interviewee. Thanks. This is great. I’m in the second week of seeking informational interviews and have my first one today. What a lovely coincidence to see this on my blogfeeds. As for what to say if you have to cold call a contact instead of going through your network, make sure to emphasize that you are only looking for maybe half an hour of time for informational purposes, to research, NOT for a job. This helps you a little in getting past receptionists and other lines of defense. In the spirit of the informational interview, look for someone who is currently doing the job that you are interested in, if possible. Don’t contact the President when you are likely to be working as an Associate. If they are too busy, ask if they know someone who would be able to answer your questions. This isn’t related exclusively to informational interviews, but I’ve had to interview about 10 people in the last three weeks and I would like to add an additional rule: Don’t be too early! I’ve had people show up 20 minutes before a scheduled interview and when I get the call that they’re here I have to either make the decision to cut off what I’m currently working on, put off something I would have worked on, or feel like a jerk for 20 minutes while you’re waiting in the lobby. If you’re early to the interview, sit in your car or wait outside until it’s 5 minutes before the appointment and then go in. I’m guilty of doing this. It’s a combo of wanting to beat traffic (being too early is better than being a little late, IMO), and straight-up nerves. If the interviewee doesn’t understand that they may have to wait for you to be done, then they may not be a great fit. Every time I’ve been earlier than I should have been, I’ve had no problem waiting for the interviewer to be finished with whatever they were doing until the appropriate time. As for waiting in the car, that can be a viable option, unless it’s in the high 90s outside. I have to comment on this because I have no transportation, and there have been times when my dad would offer to bring me to interviews 1-2 hours or 30 minutes EARLY because he had conflicting schedule issues. My question to you is: what do you have to say about people that sneak around to not be seen because they feel it’s unprofessional or could lower their chances of acing a job interview? Me personally, I would feel this way myself, and waiting outside after having seen you walk by me would be really bothersome for me. This is a great post, and I’ve done a few of these in the past month or so. I’m in no hurry, so I’m taking my time and have another at the beginning of next week. As far as initiating the interview, I presented it in the context of “I see xyz job description that you [have some sort of relation to] and I was hoping to schedule 30 minutes or so to discuss more about the specifics of your roles/responsibilities/team/etc.” I found that worked pretty well, and people have been more than happy to oblige. While in the actually meeting, I’ve essentially described the situation such that “I am here [A]. You lead/are on a team that is here [B]. Can you describe how you (your team) filled in the gaps to make it from A to B? How best would you recommend I acquire the skills to make it to B?” That is essentially what you are there to ask. I’ve found it helpful to describe a little of your past and your interests, and maybe they’ll have suggestions that are completely different than what you walked in there thinking you’d like to learn about. I think the possibilities for these types of “interviews” are endless. I’ve found that being very honest and open will get you an abundance of information, and maybe even some followup meetings (job offers) in the future. I think it cannot be stressed enough, you’re not there to ask for a job, and I think as long as you’re genuinely conveying that your contacts will be very forthcoming and helpful in how they can help you and what you should do to continue your personal advancement. As for asking for an interview, would it be too far fetched to offer to treat someone to lunch and talk about things there? Seems like the ideal setting to me, and I would consider the interview as them doing you a favor. I think this a great idea. Even though my company isn’t hiring right now, my boss did do an informational meeting with someone last week. And since her door/walls are very thin, I could hear a good portion of the meeting. It sounded like it went well and the young lady learned a lot. I’m going to look into this in the future. I highly highly recommend doing informational interviews. I decided about 1.5 years ago that I wanted to make a career change from the non profit to the for profit world. I have been doing informational interviews to learn about the other sector, different types of companies and to broaden my network. It paid off–I just got a new job. I have used this technique each time I am seeking a new job. Ahhh, informational interviews, my favorite! I actually have one scheduled with the head of corporate advertising next week! Haha, yes, it’s only been two months and I’m already thinking about what else I can move on to in the company. I miss California and I miss reading your blog! I don’t really have internet set up at my semi-new place. Anna, I think you can do anything you feel will be respectful in the interview (even, possibly, letting them know you’ve applied). I know this is akin to asking for a job, since it may come across as a hint, but since the essence of the NEVER ASK FOR A JOB rule is respect, if you feel that your chemistry with the interviewee will support it, I think you should tell them you’ve applied. The fact that you want a job is implied in this kind of interview. If you use respect to show class and sophistication, you may not have to ask for a job. It will make them want to hire you. To those who have been interviewed — would you mind sharing some feedback? Here are some questions that I’d love answers to. If you have time to answer even ONE of them, I’ll be very grateful! How did you feel after the interview and why? (Tired, annoyed, impressed, helpful, energized, appreciated, offended?) What made you feel especially good or bad about the interview? How did you feel about the timing – ie if it went a little long, were you annoyed or ok with it because it was useful? What impressed you most about the person who interviewed you? What were your favorite questions? What questions helped you share useful information you wouldn’t have thought to bring up otherwise? Are there any questions you wish the person had asked? What do you think every interviewer should ask in this kind of interview? On the flipside, what questions should interviewers avoid? Did you get any stupid questions, or off-topic questions, or questions that were ineffective in the context of the interview? Did anything offend you about the interview or interviewer? Annoy you? And finally – What would be an IDEAL informational interview for you? (Initial query/introduction, timing, location, content/topics, type of interaction, personality, follow-up?) What would make YOU feel good about giving the interview? Lots of questions here, I know. If you have a second to answer just one of them, I would really appreciate it. Thanks in advance! I can’t say how terrified I am of flubbing something like this. On the one hand, it’s something I’ve been trying to work up the courage to do. On the other, I feel like it’s something I need to do, terrifying or not. It seems to be the career equivalent of a date, honestly.